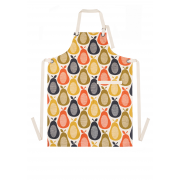 An attractive apron to protect your clothes when cooking from Orla Kiely kitchen range. 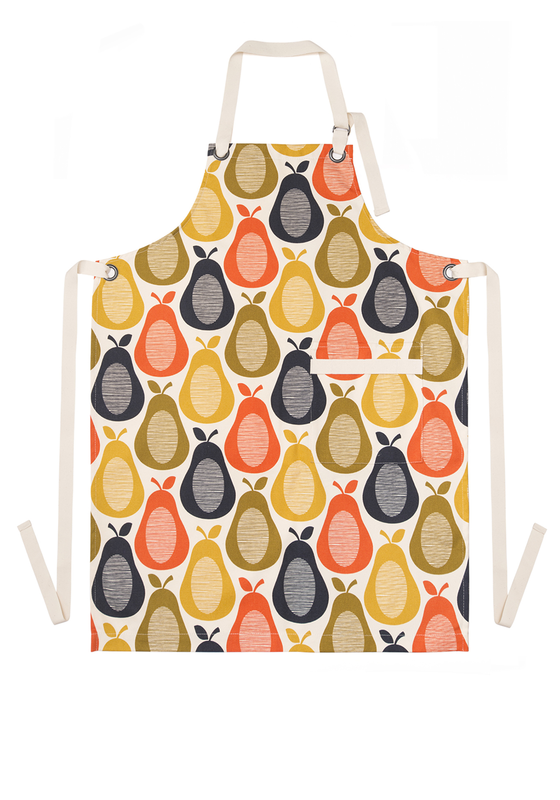 This apron has a colourful fun pear print design. It comes with a hook to place over your head and ties around your waist.